The agency is asking for $5.1 billion for next fiscal year, part of which will go towards FSMA implementation. FDA wants 8% more money for its FY 2017 budget, requesting a total of $5.1 billion. Part of this $14.6 million net increase in budget authority will go toward FSMA implementation. Specifically related to food safety, FDA is asking for more than $18.4 million in budget authority and more than $193.2 million in user fees. According to an FDA press release, the agency will be using the budget to support federal and state efforts related to enforcing safety standards on produce farms. In addition, FDA wants to use the money “to hold importers accountable for verifying that imported food meets U.S. safety standards, as well as conduct food safety audits of foreign food facilities”. 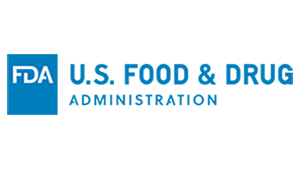 FDA is also requesting more than $3 million for building and facilities funding, and more than $600,000 to support other areas to improve the agency’s infrastructure. The fiscal request is for October 1, 2016 through September 30, 2017.